Memphis is like a patchwork quilt, tightly threaded together by streets, highways, and history. In learning about different cultures, we visited a place that served Senegalese food and spoke Wolof, a dialect in Senegal, Africa. 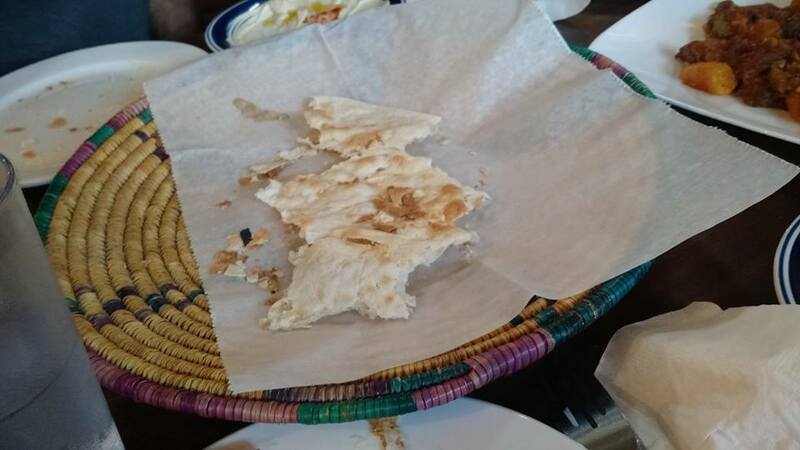 A Yemen restaurant called, The Queen of Sheba, served large discs of bread and homemade hummus. The dishes were ordered and shared among our group while in the background Arabic conversations hummed. Next door to the Queen of Sheba was a Middle Eastern market called, Jerusalem market. You can find the best homemade baklava served by a smiling young man. Driving along the streets, you pass through hipster towns that open to project housing to mansions to old homes in quiet, tree-lined streets. Sidewalks reach out and trip you from tree roots growing beneath the cement. The historic town is like a shoe broken in and creased in the right places. Old and new buildings sit side-by-side in harmony, like a quilt with its different fabric squares. Bluff City Coffee sits in downtown Memphis near the Civil Rights Museum and the Blues Hall of Fame, and I learned the difference between graffiti art and graffiti. Graffiti art give brightness and color to old walls and sagging fences. Graffiti just defaces, adding nothing to the town. 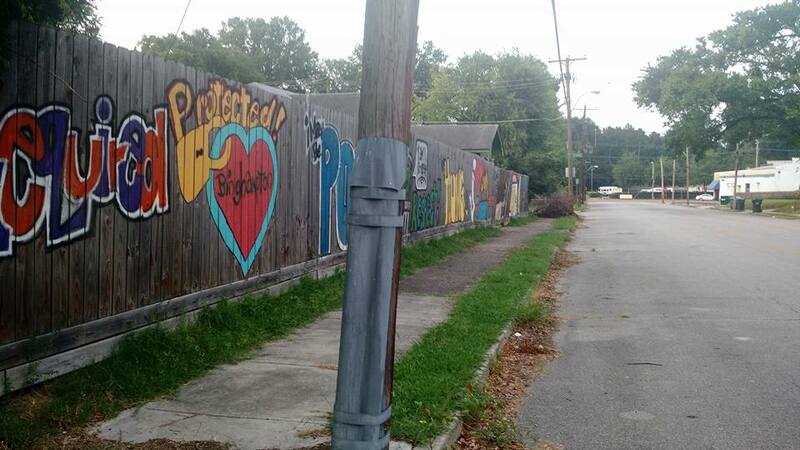 Graffiti art reminds the town to love each other as we walk this human experience together. But human relationships are complex. Old wounds continue to bleed. Monuments and museums remind us of our mistakes to teach us something new today. Take time to sit and converse over catfish sandwiches at the Germantown Commissary. Don’t park at the Methodist Church. Even after hours, the signs say, “Church parking only.” You’ll have to drive around the block a few times to find a place to park your car. Don’t go too fast. Life doesn’t wait for you to make a decision, but that doesn’t mean you have to rush through the day. Driving in Memphis has been compared to a third world country. I think it’s comparable to Nascar, too. Everything is fast and reckless. Off ramps come quickly and you have to pay attention or you won’t be able to make that turn. It’s okay to slow down and take in the scenery. Pay attention to new opportunities to show Christ’s love. Eat pie. Muddy’s Café sits atop of a low hill. It has outdoor seating and it is adorable. The cakes and pies are fantastic. The plugs are few though. Be patient. You can plug in your phone and enjoy a slice of heaven while you wait for the next thing to do on your list. But don’t put your dirty plate on someone else’s table. Be considerate of others around you. If you practice consideration and other-thinking, your heart will be lighter. Rosa Parks stood for something. 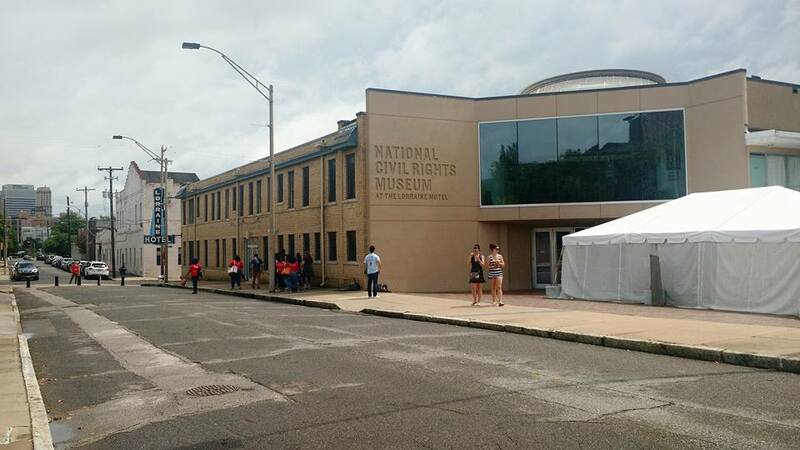 Her bus is at the National Civil Rights Museum. She didn’t opt for violence, but sat in her seat, refusing to go to the back. Caste systems and classes exist in our world. Don’t sit in the back. You are valued. Jesus shed His blood for you. No matter how people treat you, remember who you are in Christ. Experiences will change you. Make wise choices. A job is only as mundane as you make it to be. The tour guide on the Ferry made us laugh with his anecdotal stories about the Mississippi River as we cruised through a rain storm. Work so people can tell you love your job. When you love your job, you bring joy to your customers and to your co-workers. Listen to people. You may learn something. As I sat in my host’s living room, I couldn’t believe I was here. I couldn’t believe people listened to me. I listened to them. They had much to offer to our group. They take risks. Listen to people and learn something. You are never too young or too old or too educated. Facebook is great for reviewing a trip. I read my statuses and felt sad leaving a patchwork town that welcomed me with its diversity and comfort. In the airport, I knew home wasn’t a place. Home is where my husband lives and where God brings us next. Hold loosely to material goods and tightly to people. Don’t be a consumer.